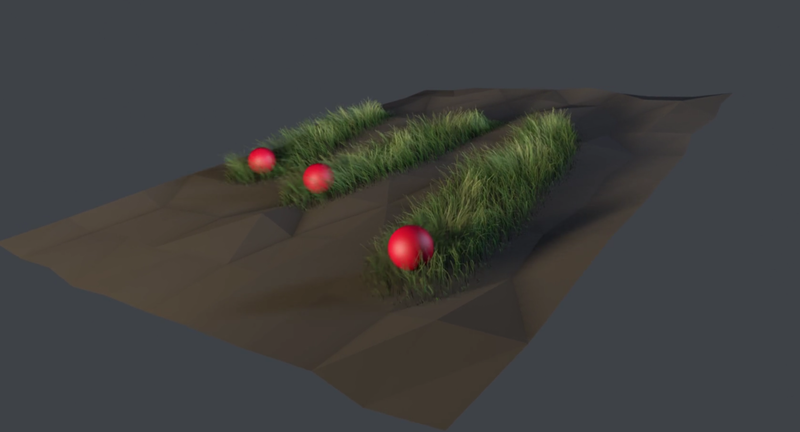 The basic idea is to trace the clones (the red spheres in this example) and use the generated splines to feed the proximal shader which in turn is loaded in the length slot of the hair material. This way hair is grown based on the proximity of the dynamic objects and the surface plane. Pretty slick as it’s all ran by the dynamics engine. You can do this with any object or keyframed animation. There’s also a hair collision tag added to the spheres so they can interact with the grass underneath. Hope you can see beyond this simplified example and find something useful to take with you.